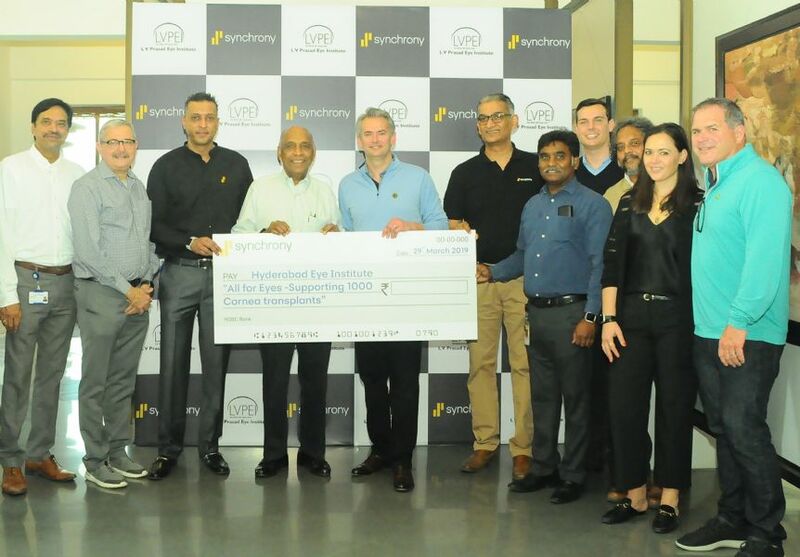 Hyderabad, March 30th, 2019: Synchrony (NYSE: SYF), a premier consumer financial services company, reaffirmed their commitment to supporting the LV Prasad Eye Institute by contributing Rs. 20,00,000 (Rupees Twenty Lakhs Only) as a part of their 'All for Eyes' initiative. This program provides cornea transplants for people in need. The cheque was presented to the staff of the LV Prasad Eye Institute by Mr. Brian Doubles, Executive Vice President and Chief Financial Officer, Synchrony, who was joined by Mr. Andy Ponneri, Senior Vice President and Business Leader - India, Synchrony. The donation will support vision care for 1000 people. ...Supporting vision care makes a real difference in peoples lives, said Mr. Doubles. ...Over the past three years, Synchrony has facilitated more than 5,000 cornea replacement donations through our "All for Eyes initiative with L V Prasad Institute." L V Prasad Eye Institute's mission is to provide equitable and quality eye care to all sections of society. The Institute has ten active arms to its areas of operations: Clinical Services, Education, Research, Vision Rehabilitation, Rural and Community Eye Health, Eye Banking, Advocacy and Policy Planning, Capacity Building, Innovation, and Product Development. ...Synchrony shares our passion for providing vision care to those in need and we are grateful for the companys continued support of the L V Prasad Eye Institute, said Ramam Atmakuri, Executive Vice Chair, LVPEI. 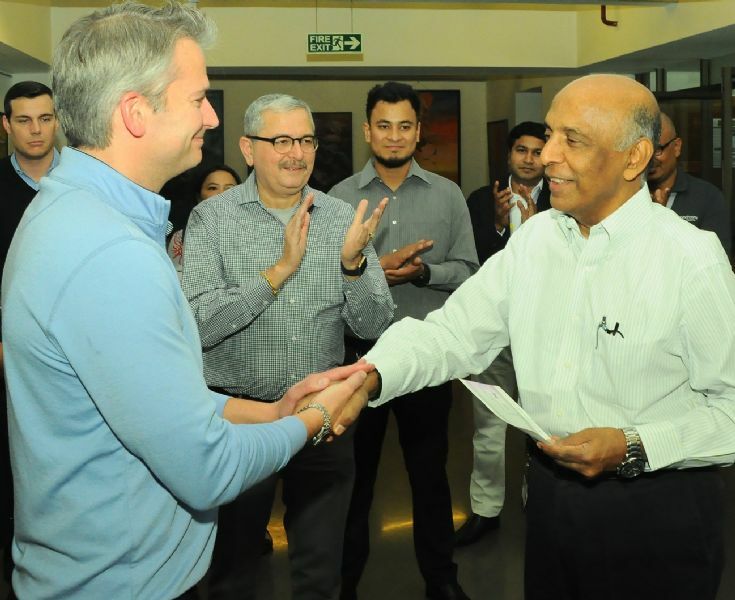 "Giving back to the communities in which we live and conduct business is an integral part of Synchronys culture and has enabled us to make important contributions to Hyderabad and its people, added Andy Ponneri.